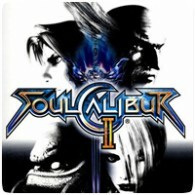 Namco has revealed that it will be re-releasing PS2 title Soul Calibur 2 on current-gen consoles this year as Soul Calibur 2 HD. The game will include the PS2 exclusive character Heihachi Mishima from the Tekken series, and will feature improved graphics and online gameplay. The game was originally released on Xbox, PS2 and GameCube, each platform having it’s own exclusive character. The HD remake will be releasing on the PS3 and Xbox 360 in Autumn 2013, and will be a port of the PS2 version.